This NY Times Retro Report documentary short takes a look back at the beginnings of the file-sharing program Napster which began in 1999 and its strong impact on the music industry, artists and music buying fans. TPB AFK, the new documentary about the founders of the Pirate Bay is here. Directed by Simon Klose, read more about this project which we covered last month. Watch this full length feature and tell us your thoughts. Watch this trailer for the upcoming documentary about the founders of the file-sharing site The Pirate Bay, TPB AFK. The film is directed by Simon Klose and will be released this spring for free online and for sale in download and DVD form for those that would like to support the filmmakers. Filed Under: News Tagged With: art, artist, audio, Austin, beatmakers, BitTorrent, CEA, change, computer, copyright, copywrong, creative, dan friel, design, disruption, dj, EFF, electronic, event, experimental, Film, future, global, Hank Shocklee, innovation, live, mashup, music, party, policy, Public Knowledge, Salsa, sampling, SFMusicTech, shift, six lounge, society, software, sound, Startups, SXSW, sxsw mashup party, synth, tech, technology, thinking, u.s. 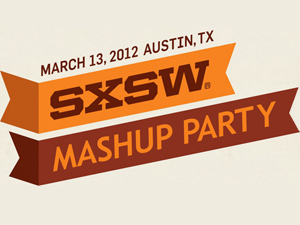 The SXSW MASHUP PARTY Is Tuesday March 13th – RSVP Now! 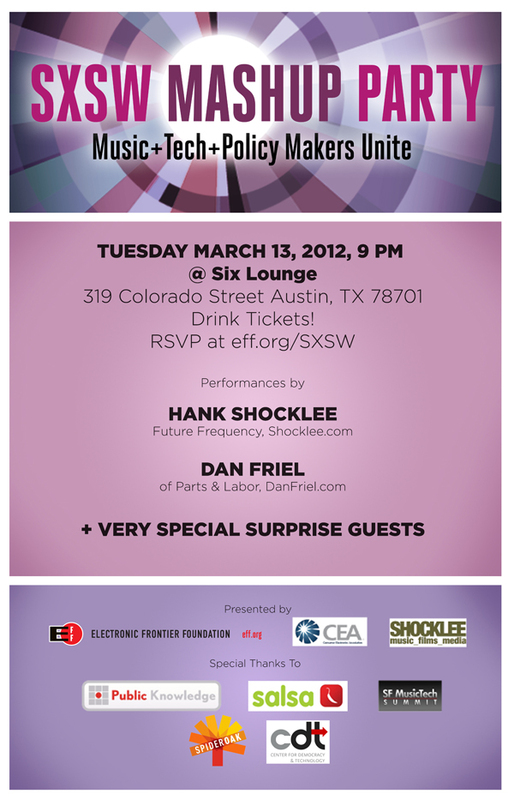 We’re mashing up the worlds of music, technology and policy on Tuesday March 13th in Austin, Texas for a SXSW party showdown with THE CRAZIEST GUESTLIST of people you want to know if you’re involved in music, tech or policy. 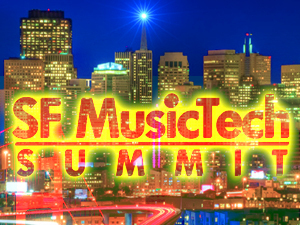 On Monday, Feb. 13, 2012, at the Hotel Kabuki in San Francisco, more than 1,000 influential thought-leaders will gather at the 10th SF MusicTech Summit, an incredible gathering of internet, technology and music leaders.